Earlier in the year, Kairos wowed us with its grandiose plans to merge mechanical watchmaking with smart features, and it seems its ambitious smartwatch is nearing reality. The company is now taking pre-orders on the Kairos MSW and Kairos SSW watches, which the company claims is the world’s first mechanical smartwatch hybrid. It will go head-to-head with the Nevo watch and the new MB Chronowing HP smartwatch, designed by Michael Bastion, for those looking for a blend of tradition and tech. Underneath the Kairos watch is a self-winding mechanical watch, built using traditional movements usually found on the likes of Rolex or Tag. 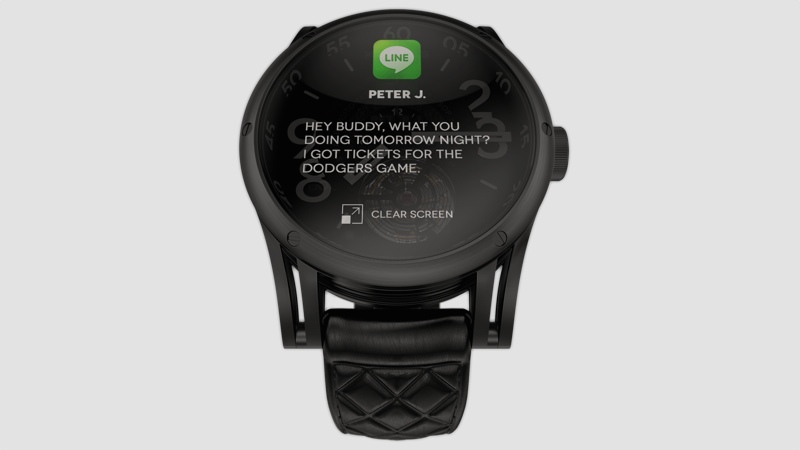 However, Kairos has added a transparent OLED screen on top of the analogue face, which will display smartphone notifications, emails, social messages and more. The build itself looks fabulous, and while the watch itself a little chunky, the watch-face shows off the inner workings of the movement, which is always a big turn-on for fans of horology. The movement itself also seems up to spec, with a 42 hour power reserve and 21 jewels on the lesser Kairos MSW. That power reserve refers to the mechanical timekeeping aspect of the watch – which can be topped up just by wearing the piece – rather than the whizz-bang tech, which Kairos says will last a week between charges. By leaving the timekeeping to the mechanical parts and only engaging the OLED aspect when there are notifications, the company says battery life will outstrip its rivals. The digital layer looks as well designed and classy as the rest of the watch, but we’re still to receive a full rundown of the Kairos MSW and SSW’s full features, so we’re still taking things with a pinch of salt. However, if Kairos can nail the usability, this could be a strong entry into the smartwatch hybrid world. The Kairos MSW is on pre-order for $549 (a 40%-50% discount over the full $1,149 RRP) and the Kairos SSW can be bagged for £1,039 (down from £1,989).